Yum, serious yum. I’m feeling summer in a big way and decided it was time to start enjoying those summer flavors in a big way, too! I was so inspired by the Must Drink Lemonade Recipes, that I knew a few tasty drinks needed to happen in my kitchen. 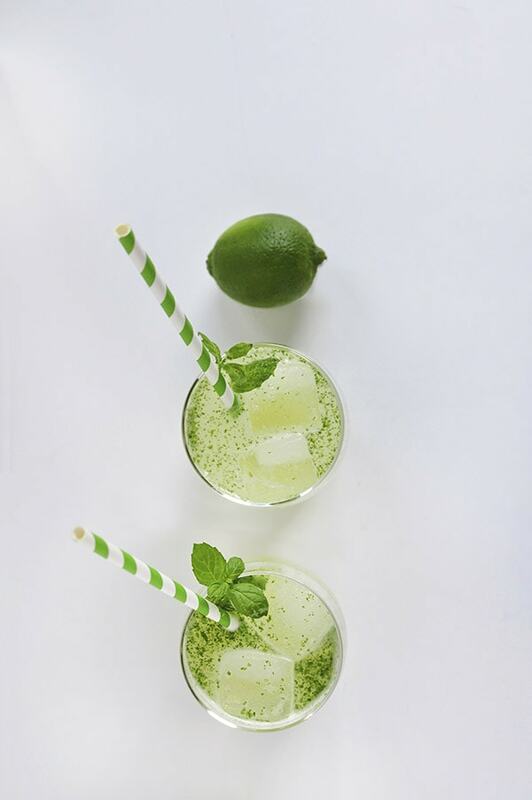 Now, if you love Lime and love a little mint…. 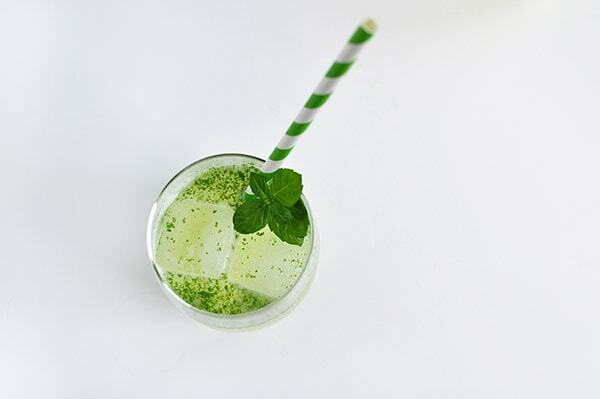 and love refreshing drinks during the heat of the day, then this is for you. 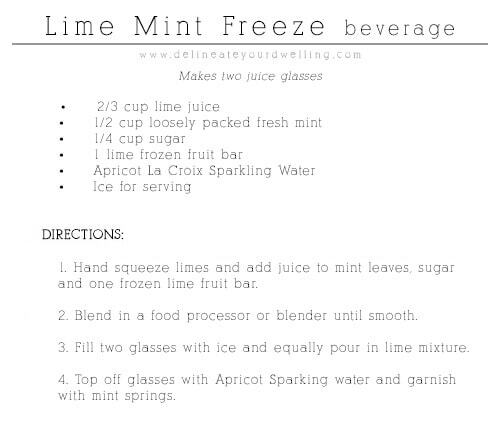 Today, I am sharing my take on a Lime Mint Freeze beverage. First things first, I love limes. The smell of them makes my mouth water instantly. When I saw this recipe on Whole Foods, I knew I needed to make it and make it my own. 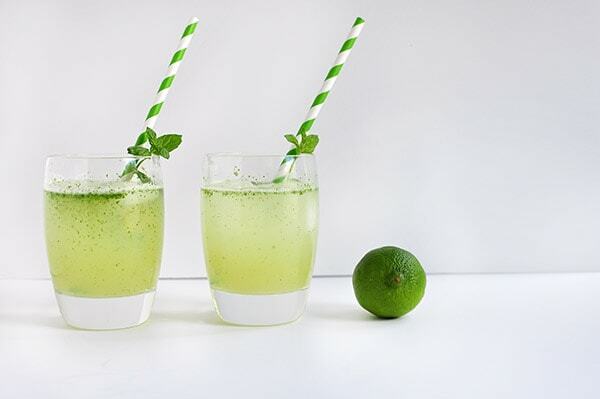 If you make this delicious drink, it takes more than 1 or 2 limes and after all that hand squeezing, you will be one sad cookie. I always use a Citrus Squeeze and it makes the entire process 100 times better. Outshine are our favorite popsicles and I love that my kids always go for Lemon, Lime or Coconut. I just bought Pineapple at the store yesterday, so we are excited to try that flavor out as well. So, when the recipe called for a lime fruit bar, Outshine was sitting in my freezer already. I knew it’s wasn’t too sweet and would be perfect for this application. Another tweak I made to the recipe was with using Apricot Sparkling Water. 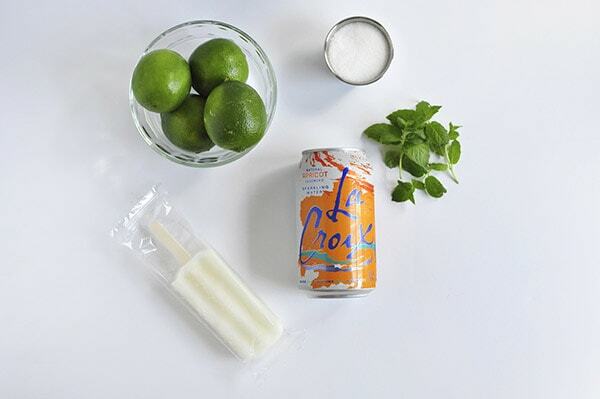 The recipe called for plain sparkling water, but I can’t stand plain sparkling water… I did however have Apricot LaCroix Sparkling Water in my fridge, so once again it was a win win for me! I thought it ever so slightly toned down the lime flavor and introduced Apricot as a very refreshing and light fruit flavor addition. My kids guzzled this lime freeze right up and I don’t blame them one little bit. 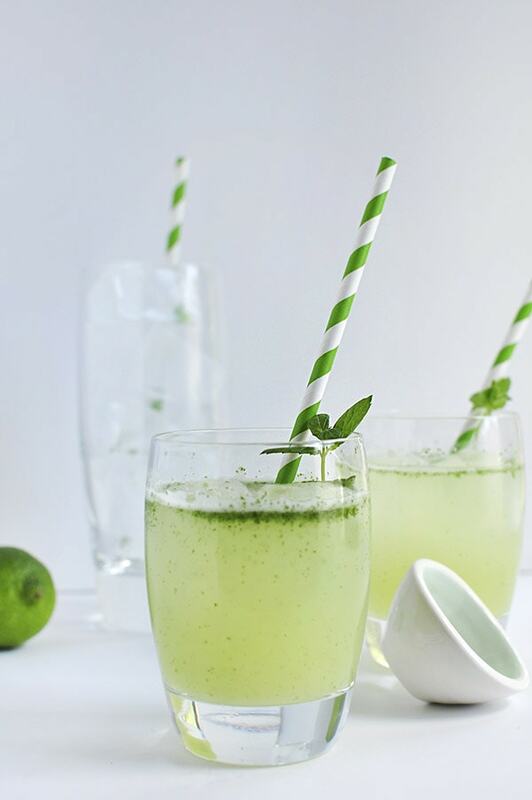 It was full of citrus zest, very refreshing and perfect for summer days! No brands sponsored this post in any way, I just really really love Outshine and Lacroix. Have you tried either of these delicious items? It was so refreshing… and now I’m ready for hot humid days so I can have another! HA. This looks and sounds delicious! Pinning it for reference. 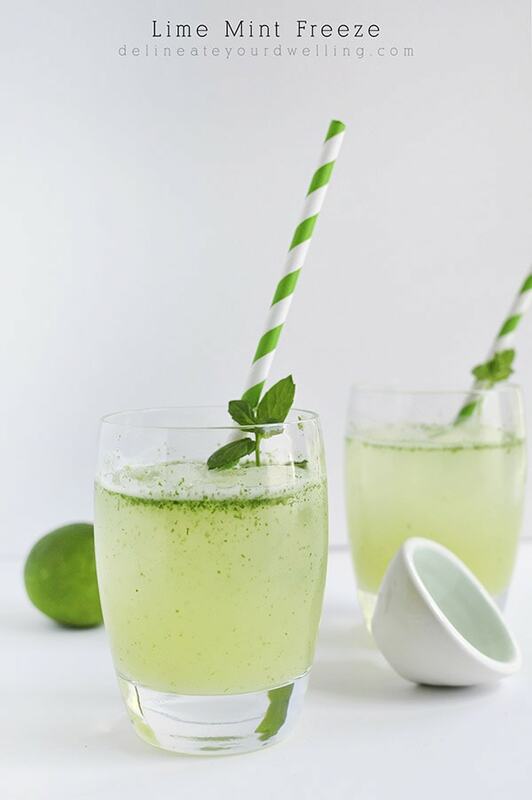 This looks and sounds so refreshing! Pinned the recipe to enjoy this summer!